Family trips are simply a blast. There's a special bonding that happens when families travel together, fueled by fraternal energy and over-the-top fun. When multiple families come together on a Backroads Family Trip, it's like summer camp for the whole family! From rafting through epic national parks to zip-lining above Central American treetops, every trip has something in store for all members of the family. Here are 10 trips for Teens & Kids that will keep your family reminiscing for a lifetime. Welcome to the Wild West! It's no wonder that this is one of our most popular trips, with so much action packed into one week of crazy fun. 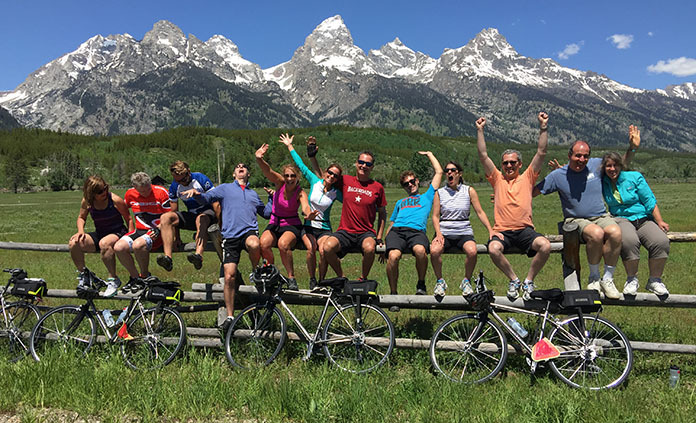 Your family will be hiking, rafting, kayaking, biking and more as you spot some of the most legendary wildlife in America – bison, elk, eagles and even bears! You'll be dazzled by bubbling mud pots, erupting geysers and out-of-this-world geothermal features that make this region so spectacular. Adventure awaits in Alaska! 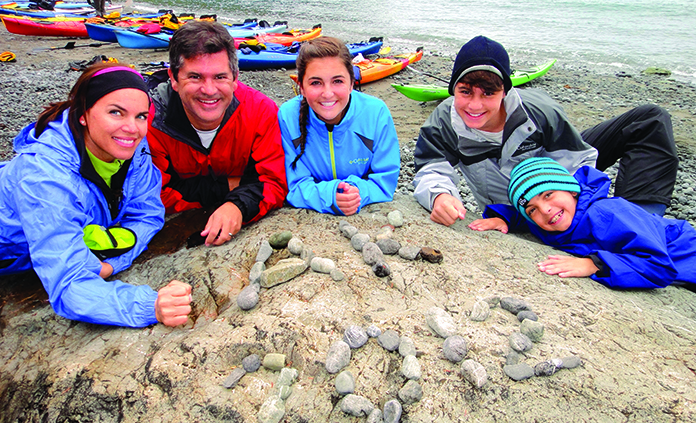 Live your dreams of exploration while you hike, bike, kayak, raft, and dogsled your way through the Kenai Peninsula! Dogsled?! Yes! While kids hike atop glaciers and visit a marine wildlife center, parents trek along North America's largest ice field. Experience all of this once-in-a-lifetime Alaskan adventure! It's impossible to come to the Swiss Alps and not be amazed. 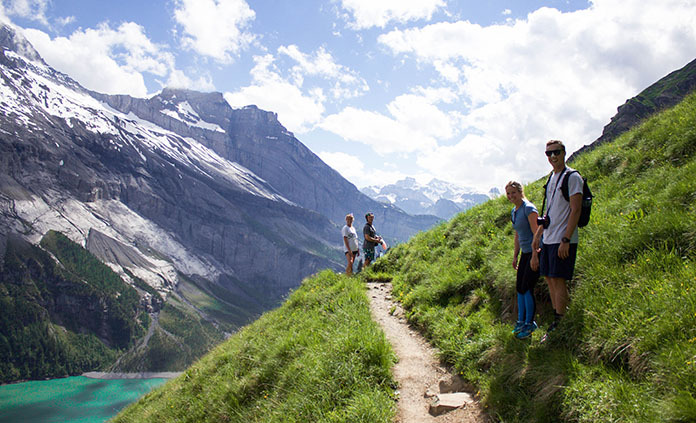 Incredible mountains, sweeping glaciers, gondolas to the highest peaks, and hiking and biking trails that immerse you in it all. Enjoy delicious fondue and hear cowbells ringing through the valleys. The kids-only ropes course and rodelbahn (Swiss bobsled) are always family highlights, while everyone can share the adventure of Trotti bikes (mountain scooters)! Think your family can handle all the thrills. Be prepared to fall in love with Croatia's Dalmatian Coast—its people, water, food, architecture and beauty. Island-hop down the coast and swap the Backroads van for private boats—a fantastic time for reading, sunning or cannonballs off the deck! While grown-ups can sample the country's impressive but little-known wines, kids enjoy a night at a pizzeria. You'll finish the week time-traveling back to 12th century Game of Thrones in Dubrovnik. 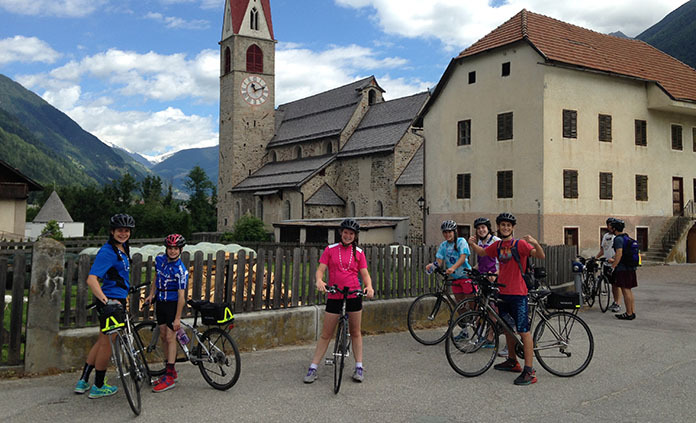 Discover a different side to Italy and your inner mountaineer as you bike and hike Italy's majestic Alps. While adults (or history buffs of any age) get a tour of WWI trenches, kids get a taste of the area's booming sport of rock climbing. Speaking of taste, did we mention adults dine at Michelin-starred La Siriola? But kids, fear not! Your fun-filled pizza fest begins with the exhilarating appetizer of zip-lining among the Dolomites' jagged spires.e. Take a family field trip to the land of storybook villages and fairy-tale castles. Throughout the week kids try their hand at chocolate-making and fencing while parents test their palates with wine tasting and Michelin stars. The whole family relives history through a tour of da Vinci's home and the Château de Chenonceau—but only the kids visit the castle's mysterious "black room." Whether it's relaxing bike rides, cultural riches or R&R, the Loire Valley has something for everyone. Get ready to spot incredible wildlife, giant mountains, and water so blue it makes your eyes dazzle. As the youngsters rock climb, the grown-ups embark on a classic Rockies hike to a historic Tea House and take a class on "Bear Biology 101." Before adults savor epicurean delights at the Post Hotel and kids enjoy their own special night out, the hotel spa and saltwater pool never looked so good after all the adventuring. Get ready to be awed by Hawaii's fauna (think Finding Nemo), flora (how do you think those leis are made? ), and geological wonders (like Earth's most active volcano)! 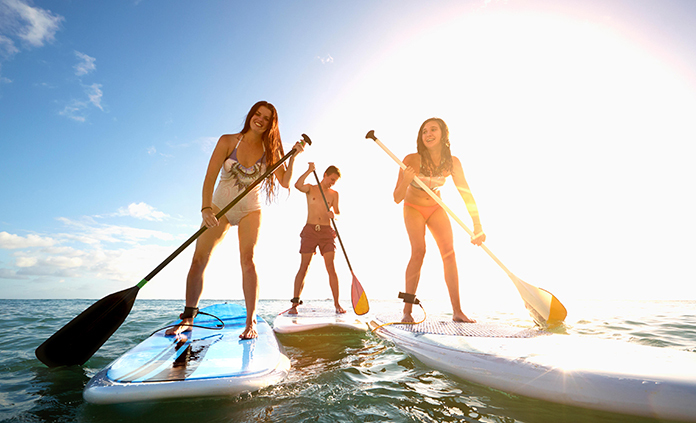 Add epic views, water sports galore and iconic culture, and Hawaii has all the ingredients for a great family vacation. While kids paddleboard, explore tide pools and make leis, grown-ups spin along the Kohala Coast, tracing 30 miles of the famous Kona Ironman. Your family will discover the true essence of Catalonia as you adventure from the mountains to the Mediterranean. 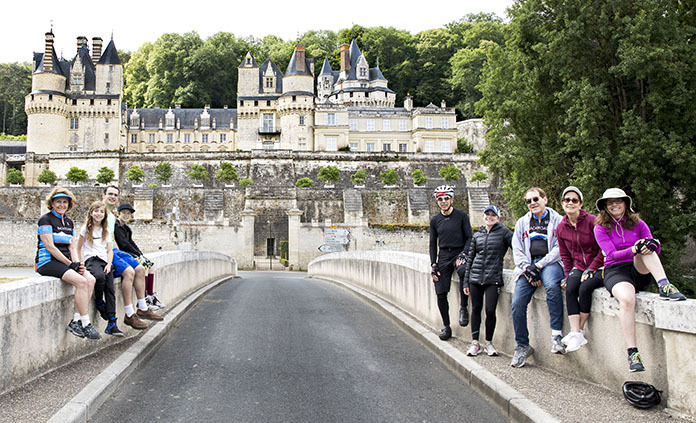 The first half of the trip traverses past snowcapped mountains, constant cowbells and rolling countryside as you spend a day biking (or for the kids, climbing exhilarating via ferratas) in France. Once over the mountains, explore coastal paths once used by pirates and learn the local trade of ceramics. Get ready to dive into the warm blue Mediterranean! Special is an understatement for visiting three epic national parks in just one week. In this wonderland of slot canyons, pinnacles and bristlecone pine, your family gets to hike, bike, go canyoneering and even rock climbing. 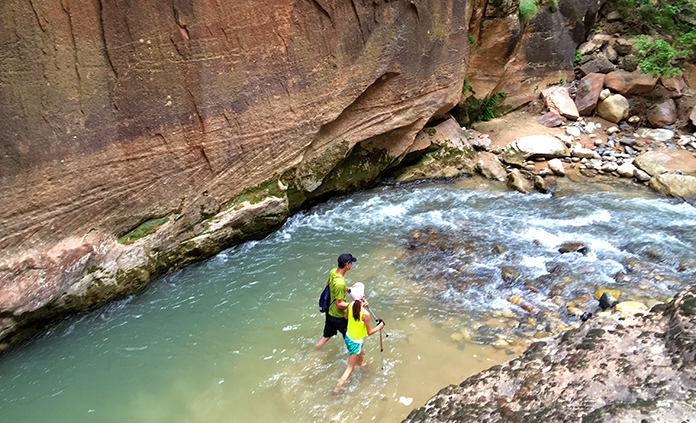 Kids play like early pioneers, exploring the Grand Canyon by mule while adults get a heart-pumping hike into one of the world's seven natural wonders. Finish the week riding amid the iconic sandstone walls of the American Southwest.